MELBOURNE, Australia (CNS) — Dr. Evelyn Billings, who with her husband, John, pioneered research that led them to develop a form of natural family planning supported by the Catholic Church, died Feb. 16 after a short illness. She was 95. The Australian pediatrician joined her physician-husband’s team in 1965 as he was researching a more reliable method to prevent pregnancies than the rhythm method, known as the “calendar” method, which was developed in the 1930s. By the late 1960s, the research team had established the procedures for identifying fertile days and teaching centers began to be set up around the world. The method, known as the Billings ovulation method, allows women to monitor periods of fertility through close examination of naturally occurring physiological signs, and use that information to prevent pregnancy or space births. Methods of natural family planning, or NFP, are approved by the church as a morally acceptable way for Catholic couples to plan their families. Evelyn Billings co-wrote “The Billings Method” with medial journalist Ann Westmore in 1980. It has since undergone seven new or revised editions, 16 printings, and has been translated into 22 languages. According to the World Organization of Ovulation Method Billings, known as WOOMB, women in more than 100 countries practice the method. 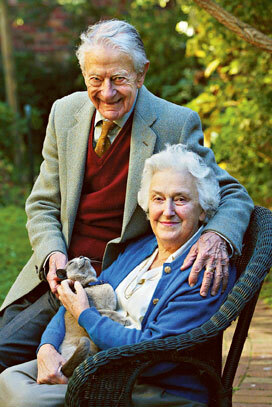 Billings and her husband, who died in 2007, were among 40 founding members named by Blessed John Paul II to the Pontifical Academy for Life in 1994. She was one of just five women. In 2002, the Billingses were named international Catholic physicians of the year by the International Federation of Catholic Medical Associations. “We don’t talk about abstinence, we talk about fertile time of the cycle as a positive time when couples can get together, discuss things and make decisions whether to welcome a baby or not,” Evelyn Billings said in a 1992 interview. The Billingses were featured speakers at 1988’s Fourth International Congress for the Family in Africa and Europe, marking the 20th anniversary of Pope Paul’s encyclical “Humanae Vitae” (“Of Human Life”). Born Feb. 8, 1918, Evelyn “Lyn” Billings graduated in medicine from the University of Melbourne and studied pediatrics as a post-graduate student in London and later opened a pediatric practice in Melbourne. Later she was an instructor in embryology and histology within the anatomy department of the University of Melbourne and an assistant physician to the Department of Community Medicine at St Vincent’s Hospital, also in Melbourne. Her husband was a neurologist working at St. Vincent’s in 1953 when he received a request from a priest with the Catholic Marriage Guidance Bureau who needed assistance in helping couples who had fertility difficulties. That led to development of the Billings method. Billings is survived by eight of her nine children, 39 grandchildren and 31 great-grandchildren.